This is a TARC approved motor per the 2016 TARC Approved Motor List. Comes in a Pack of 2. Delay options are 4 and 8 Seconds; please choose. The 24mm F44 packs a punch and always perfome great. We were more than impressed with the customer service and response time exhibited by Robert and Doug. They were a delight to work with and they really did go out of their way to get our order to us. 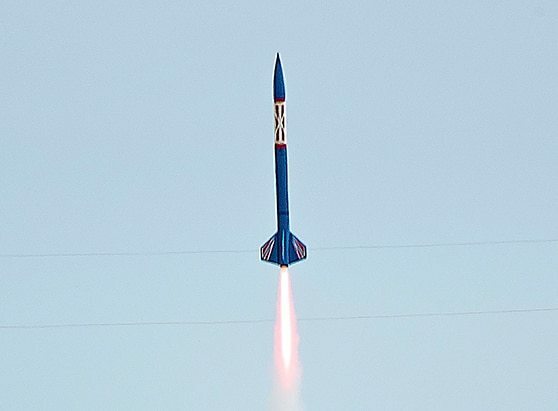 We have a homeschool competitive rocket team and needed rockets asap having been let down by another company on their promised delivery date. It's refreshing to have Buyrocketmotors.com as a local supplier we can depend on and who follow through on their commitments. We will be buying here in the future! Terrific performance motor. It is a small 24mm motor that packs a punch! I like these motors . They are great and will definitely use more.